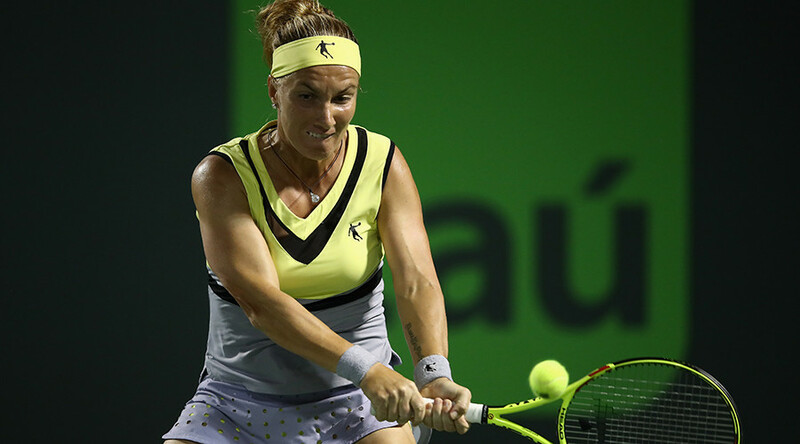 Fans of double Grand Slam winner Svetlana Kuznetsova were subjected to jibes during the Russian’s Miami Open round of 16 match versus American Venus Williams on Tuesday. As Williams was serving for match point, Kuznetsova fans cheered “Sveta,” a diminutive of her given name, only to be met with “go back to Moscow” by one member of the crowd. The distasteful comment drew gasps from the crowd and Williams was visibly taken aback, needing several moments to ready herself before serving. Kuznetsova lost the match 6-3, 7-6 (4) in an upset to former world No. 1 and seven-time Grand Slam winner Williams, the elder sister of Serena Williams. The 31-year-old herself resides in Moscow, but was born in St. Petersburg, 700km away from the Russian capital in the north west region of the country. Kuznetsova is a previous winner of the US Open – in 2004 – and the French Open – which she won in 2009. She is currently ranked No. 7 in the world.